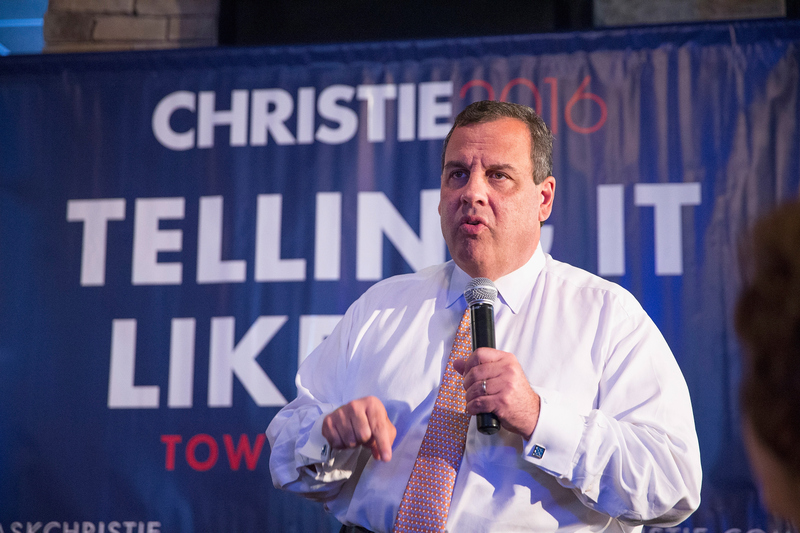 Chris Christie is known for his tell-it-like-is style that some would describe as aggressive. (Remember when he told a journalist to sit down and shut up?) Continuing his trademark ways on Sunday, Christie targeted teachers unions, saying they deserved "a punch in the face." In a CNN interview with Jake Tapper on Sunday, Christie was asked who deserves a punch in the face — a reference to how Christie has noted he deals with bullies. Christie's response? "Oh the national teachers union, who has already endorsed Hillary Clinton 16, 17 months before the election," he said. According to The Washington Post, the national teachers union he's referring to is the American Federation of Teachers (AFT), who endorsed Clinton in July. Christie claimed teachers unions were "not for education for our children." They’re for greater membership, greater benefits, greater pay for their members. And they are the single most destructive force in public education in America. I have been saying that since 2009. I have got the scars to show it. But I’m never going to stop saying it, because they never change their stripes. There are pros and cons to everything. But in contrast to Christie's dim views on teachers unions, here are four reasons why they deserve a pat on the back and not a punch in the face. Some research suggests a positive correlation between unionized teachers and student performance. A team of experts studied the relationship between teachers unions and student performance on the SAT and ACT. The Harvard Educational Review writes, "They find a significant and positive relationship: that is, the presence of teacher unions appears to be linked to stronger state performance on these exams." Another 2002 study from Indiana University Bloomington's Robert M. Carini concluded, "While only 17 prominent studies have looked at the teacher union-achievement link, the evidence suggests that unionism raises achievement modestly for most students in public schools." As a group, the American Federation of Teachers — one of the largest national teachers organizations with more than 1 million members — takes a stance on important issues. As a group, the AFT declares support for integrating public schools and advocate to incorporate climate change science into the curriculum. According to the Huffington Post, the AFT was created in 1916 when several Chicago area unions joined forces. Some of their issues: the pay gap between male and female teachers, rules about skirt length, limits on "gentleman callers." Historically, teachers unions have worked for equal rights for women. Everyone knows Albert Einstein is smart. What do you not know? He was in the AFT in the '30s. Einstein was quoted saying, "I consider it important, indeed urgently necessary, for intellectual workers to get together, both to protect their own economic status and also, generally speaking, to secure their influence in the political field." Christie might not be so fond of teachers unions, but there are reasons to support them. Sorry, Christie, physical violence, like in pretty much every other case, is unnecessary in addressing these groups.